This slate comes with a free premium subscription to Zoodles Kid Mode, 4G LTE connectivity, a generous 5000 mAh battery, as well as multiple parental control features. Earlier this week, Verizon Wireless unveiled a new Android tablet for kids. 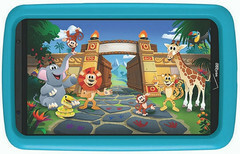 Known as the Ellipsis Kids tablet, this slate will be available in stores starting next week. 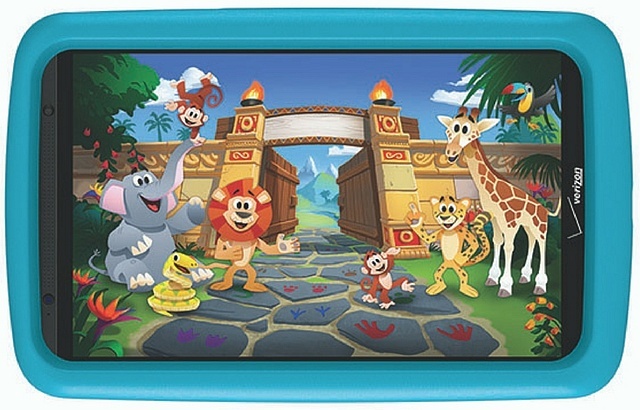 Described as "a digital playground that educates as it entertains," this new tablet comes with a free premium subscription of Zoodles Kid Mode. This platform features "tons of games, videos, books and age appropriate content." The tablet's display is protected by a kid-tough bumper, but parents can choose to purchase kickstands and bumpers in their children's favorite colors. The price of the standard Ellipsis Kids tablet package is $249.99 USD ($10.41 USD per month for 24 months), or $79.99 USD with a two-year contract. Customers on the Verizon plan can add the tablet for an additional $10 USD per month, plus taxes and fees. Those interested will be able to purchase it online starting November 12th.